It seems Blizzard's financial status might be a bit more precarious than the exceptional performance of Overwatch would have you believe. The first hints of this popped up recently when the company killed off the eSports side of its popular MOBA title Heroes of the Storm, but a recent Kotaku report provides even more details on the matter. According to sources close to Blizzard that spoke to Kotaku writer Jason Schreier on the condition of anonymity, Blizzard has a unique cost-cutting program in place called "Career Crossroads." In short, it allows select employees to leave the company voluntarily with a "healthy" payout in their pocket. 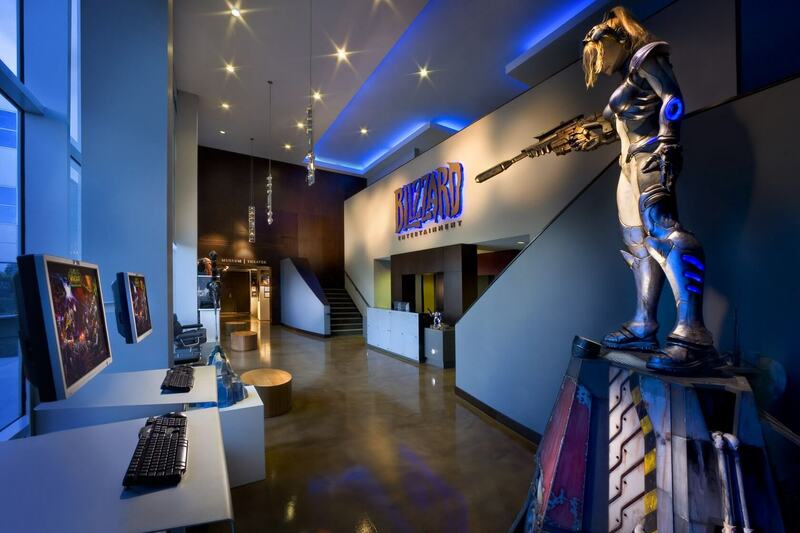 Blizzard's main rationale for this program is that it gives employees a way to explore other career opportunities without any bad blood - they don't need to quit or be fired, and they can still walk away with some cash to support their transition. However, until recently, this program has been relatively small in scope, only covering "veteran" customer service representatives. Now, though, the program is being expanded to include QA and IT - arguably two of the most important departments for a game development studio. "Over the course of the last year, Blizzard has been trying very actively to find creative ways to cut costs that won’t draw negative press attention," one of Kotaku's sources said in a statement. Though we can't verify that claim for ourselves, it seems credible - the Career Crossroads company is a win for everyone involved, and as the source implies, is unlikely to draw the ire of reporters or the public. After all, the program allows Blizzard to passively shed some of its excess staff without the need for mass layoffs. 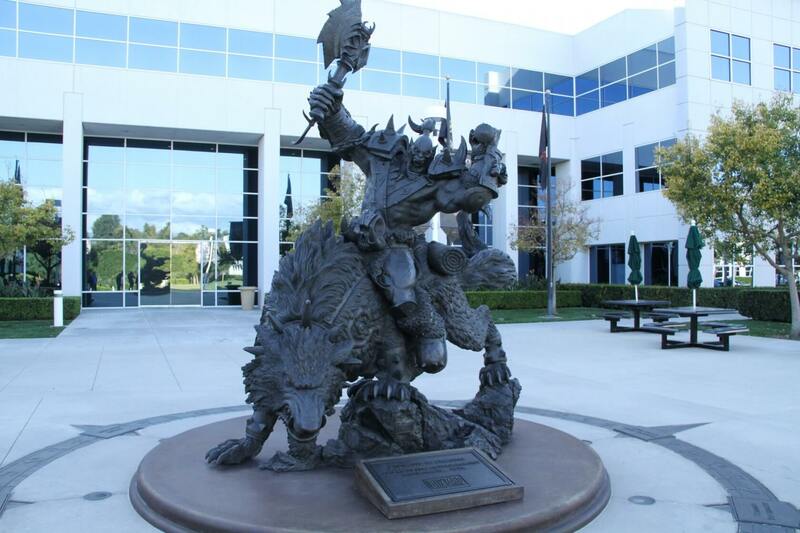 For better or worse, though, Career Crossroads isn't the only example of a profit-first mentality within Blizzard HQ. Multiple current and former Blizzard developers have told Kotaku that an increasing number of decisions are being made by business, marketing, and finance teams rather than creative professionals. "There's a real struggle now between developers and the business people," one source said. 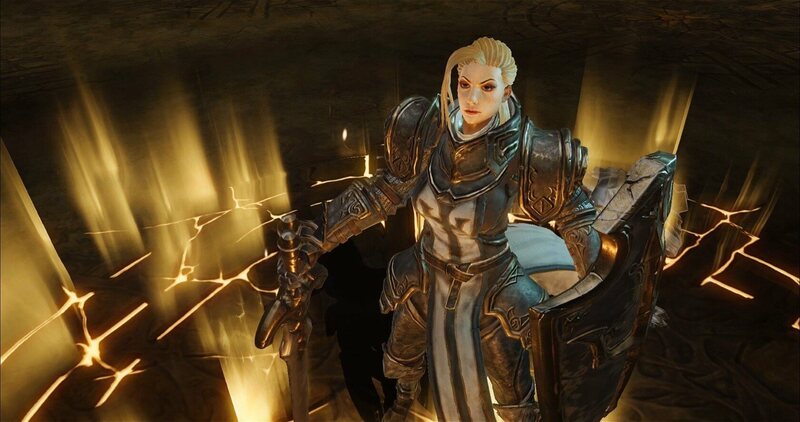 The controversy surrounding Blizzard's announcement of its upcoming mobile title Diablo: Immortal could be an example of that struggle. Mobile games are the next gold rush for many AAA developers, and Immortal is precisely the sort of project business-minded game executives would be excited for: it will undoubtedly cost significantly less to make than a full Diablo sequel, and it will probably reach a bigger audience. However, the game's development is also being farmed out to Chinese studio NetEase, giving Blizzard's internal developers less influence over its direction, monetization, and overall quality. Regardless, it should be emphasized that despite Schreier's positive track record, little of this information has been officially confirmed by Blizzard. As such, for now, we advise our readers to take Kotaku's report with a healthy dose of skepticism. Reehahs, rollmaster, bonkers2544 and 1 other person like this. "an increasing number of decisions are being made by business, marketing, and finance teams rather than creative professionals"
isn't that the way of the world today? Reehahs, bonkers2544, Burty117 and 4 others like this. I've been through three of those buy outs and I have to tell you that I made out like a bandit. Not sure why but we were allowed to put ALL our buyout cash into a 403B and manage it. At the time I was a little PO'd at them but looking at it now, it was one of the best financial moves I made. They failed with Battle for Azeroth. Overwatch and Diablo are stagnant. Diablo Immortal's reveal was terrible. They have a lot to do to bring customers back to get out of this rut and they don't seem to be doing anything. Reehahs, Theinsanegamer, psycros and 1 other person like this. WoW has been F2P ever since you could pay your sub with gold. Going completely F2P would be terrible. bonkers2544 and psycros like this. Gaming has become way too commercialized. Shy of royally messing up the IP with a fantastically bad game, pretty much nothing beats a marketing juggernaut. Single player games barely exist anymore, and multiplayer games are stuffed to the brim with immersion breaking 'monetization' features, trying to squeeze as much money out of the player as possible. I have nothing against companies wanting to make money, but breaking immersion to do it defeats the purpose of playing a game to begin with. Basically, the industry has become a version of Hollywood that only makes endless summer action movie sequels, each worse than the last. Something HAS to give. Eventually. I want the creativity and fun of the 90's to mid 2010's back - and it's not just nostalgia; Games from that era are actually really good, and withstand the replayability test for the most part. Capaill, MonsterZero, Theinsanegamer and 5 others like this. Then pay the $15? Its not bank breaking. Usually id say its worth it but BFA was bad. * An MMO like EVE Online but with actual content, deep lore, a user-friendly UI and level playing field. * A new Age of Empires with a smart non-cheating AI, support for huge maps with actual terrain and many customization options. * More high quality, open-world superhero games. Ideally you'd be able to pick from different characters, each having different ways to progress through an area. For example, a Souls-like featuring the X-Men would surely appeal to a lot of folks. * Why do we still not have a team-based WH4K shooter with big maps and dozens of players? This is a no-brainer and could be the modern answer to Tribes. * DIABLO ONLINE. 'Nuff said. * Total Annihilation II or reboot. Nobody would argue against this. Satish Mallya, Reehahs and Theinsanegamer like this. I was fortunate enough to grow up in the golden era of video games- the PS2 era. So many good games on the PS2, the xbox, the gamecube, you had plenty of cheap n64 and PS1 games, and creativity was rewarded and valued by game companies. The guys who started their own little development studios now had money to make big games, and boy did they deliver. Halo, ratchet and clank, jak and daxter, mario sunshine, viewtiful joe, ace combat, baulders gate dark alliance, metroid prime, a plethora of great Star Wars games, ece. I could write out a hundred games and barely scratch the surface of what was released. And then the HD era blew us away. Halo 3, Ratchet and clank a crack in time, call of duty black ops 1, Smash brothers brawl, modern warfare 2, little big planet, mario galaxy, borderlands 2, motorstorm, forza 3 and 4, the batman trilogy, and the list goes on. So many good games, pushing the limits on what was possible. Then came the dark times. Season passes started this BS, then came the preorders, the day 0 critical patches, then the DLC, then the microtransactions, the lootboxes, the subscriptions. just money, money money. The indie community is making the majority of good new games IMO, and even then it pales to what they were making 5 years ago. I still hold out hope the game industry will right itself sooner or later, that once these companies begin to collapse after abandoning their markets there will be a return to the good old days. but that wont happen. The "whales" will spend every last penny on these games, and there are a metric ton of them. Grown adults that dont have the time to play through lots of games like they used to and think paying to get ahead is an acceptable compromise rather then just playing a few games instead of a boatload. It's not just games either. Look at what Disney did with star wars, look at how poorly the Jurassic world movies are made. Children's cartoons have become nothing more then watered down sitcoms. Music is loud and obnoxious, mass produced for the lowest common denominator iheartradio listener. Media, in general, is becoming hyper-commercialized, much like the rest of our lives, preying on nostalgia and wallowing in mediocrity rather then take any risks at making something new. Something will definitely give. This is no different then the consumer shopping boom of the 90s, the mall building of the 70s and 80s, or the car industry in the late 60s. Whether it be a financial recession or a new interest, consumer spending in video games WILL drop eventually, and when it does, the fallout will be immense. Capaill and Satish Mallya like this. Lets not forget your entitled comment last year about thinking you deserve SC remastered for free. Were not the only bean counters. I hope that doesn't happen because I would be playing it non-stop. I think the platform exclusive games are also adding to this, they're killing key areas where games could excel without additional monetary need like loot boxes or skins. "For better or worse, though, Career Crossroads isn't the only example of a profit-first mentality within Blizzard HQ." If the company is struggling, profit might help keep the jobs that are left. Just saying. Blizzard lost its way and abandoned the people that grew up playing their games. I feel no sympathy for them or any financial issues they have. If anything maybe having problems will give them some perspective and maybe cater to the people awaiting the Blizzard of old or they double down and go full EA on us. If you'd play WoW non stop you can already do this...just pay your sub with gold. So 2yrs from now we'll be reading an article about a diablo clone made by the former devs from blizzard? Thats how all these stories end, it's amazing how badly mobile gaming has ripped apart the industry as a whole. it's either massive cinematic multi million dollar AAA releases or pixelart indie darlings, there is no middle ground anymore and it's sad. at this rate at least for me I see gaming becoming an afterthought after ff14, my current faves flame burns out, games are just movies now so I'll just enjoy those for cheaper, you cant dlc a film. maybe the game industry falls apart and another rebuild can start, your industry is in a crap state when you release expensive products that also bring in extra cash from dlc, microtransactions and subscriptions and you still die cause you dont make enough. The people making the purchasing decisions are not the consumers of video games (for the most part). A huge chunk of the customer base is parents buying games for their kids, and they don't know or care about the effect their choices have on the kids, the industry or the medium. To them, it's just a toy like any other, and the kids don't know better because this is what they're being brought up with. What truly scares me is that these crappy tactics (DLC, microTX, always online, etc) become 'normal', and actually good, customer friendly games become nothing more than a distant memory. Greed and ignorance will destroy all that's good in gaming, leaving it a hollow, money-grubbing husk of what it once was. It's like all literature being replaced with tabloids because they make more money, except this might actually happen because the medium is still very new, and consuming older media just doesn't happen because of the lifecycle of the platforms they exist on. There is a critical threshold somewhere (X years) where if it stays the way it is, nobody will remember different, and I am afraid we are approaching that threshold. lol it will never be free to play BLizzard loves taking our money for sub par content.